Tuit Nutrition: BIG NEWS: MY BOOK! 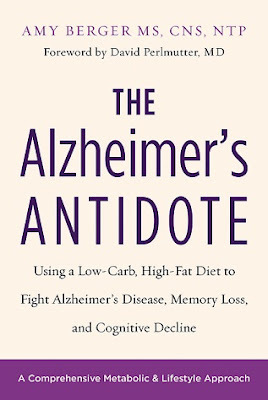 You may recall that a while back I released an e-book about Alzheimer’s disease and the potential therapeutic role of a low-carbohydrate, high-fat diet and other lifestyle interventions. Well, I’m happy to announce that the book has been completely rewritten and expanded for release this month as a print book from Chelsea Green Publishing, with a foreword by none other than David Perlmutter, MD, author of the #1 New York Times bestseller, Grain Brain!! Chelsea Green is a big deal, folks. They publish the fermentation bible, a.k.a. Wild Fermentation, by Sandor Katz. They are also the U.S. distributor for Dr. Natasha Campbell McBride’s books—Put Your Heart in Your Mouth and Gut and Psychology Syndrome (the original GAPS™ diet book), which are both outstanding. 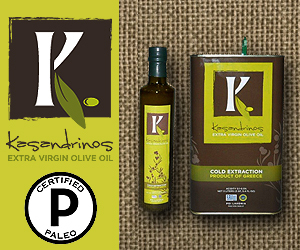 They’re also the U.S. publishers for The Ketogenic Kitchen, by Domini Kemp and Patricia Daly. (Patricia is Ireland and the U.K.’s go-to gal for all things related to keto for cancer.) CG is also publishing the new release of Travis Christofferson’s Tripping Over the Truth (which I reviewed here) – the book that inspired my blog series on the metabolic theory of cancer. So you can see I am in very, very good company among these folks. 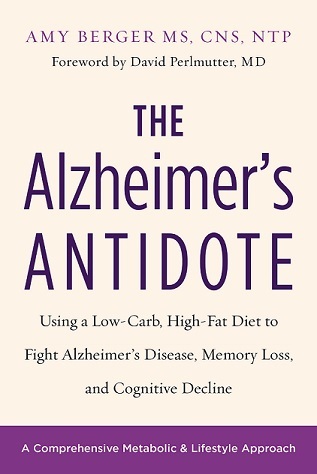 My book, The Alzheimer’s Antidote: Using a Low-Carb, High-Fat Diet to Fight Alzheimer’s Disease, Memory Loss, and Cognitive Decline, has been rewritten and expanded with new and even more powerful information, all of which only strengthens my basic premise: Alzheimer’s disease is, at least in part, a systemic metabolic condition, and as such, there are dietary and lifestyle interventions that could potentially stop or slow the progression of this condition, and possibly even reverse some of the damage that has already occurred. One of the fundamental aspects of Alzheimer’s disease is that neurons in regions of the brain involved in memory processing lose the ability to metabolize glucose efficiently. In fact, in noting that Alzheimer’s patients show as much as a 45% reduction in cerebral glucose utilization, one study’s authors said that this is “the predominant abnormality in incipient late onset Alzheimer’s disease...” This is not a matter of debate. There are many things we don’t know and don’t understand about Alzheimer’s disease. This isn’t one of them. That metabolic issues involving perturbed glucose and insulin processing in the brain are major factors either directly causing or at least exacerbating Alzheimer’s pathology and progression are so undeniable that the phrases “type 3 diabetes,” “brain insulin resistance,” and “metabolic-cognitive syndrome” are now regularly used in the scientific literature. (Yep, you already knew about plain ol’ metabolic syndrome, but when you throw dementia and cognitive impairment into the mix, you have metabolic-cognitive syndrome.) The reduction in cerebral glucose metabolism is not controversial. The controversy lies in what causes this and what to do about it. If you’ve already read the electronic version of the book (and thank you for that! ), I would still recommend buying this print version, especially if a loved one is afflicted with cognitive decline or impairment. Not because it’ll fatten my wallet (it won’t; if you think anyone writes a non-fiction book about a topic like this as a moneymaking endeavor, you are wrong), but because it contains a lot of information that is not in the e-book. The chapters on exercise and sleep have been expanded significantly, as have the chapters on the controversial role of beta-amyloid, the role of the ApoE4 genotype, and others. Additionally, the print version contains two entirely new chapters that are not in the e-book at all: one on brain fuel metabolism and one on prevention strategies. In my (admittedly biased) opinion, the chapter on brain fuel metabolism, which includes the whys and wherefores of ketones, is worth the price of the book all by itself, particularly for people who are completely new to all of this. (Most of you reading this right now probably know exactly why it is perfectly logical to elevate ketones as a therapeutic strategy for a brain that has lost the ability to metabolize glucose effectively. It could not be more obvious, honestly, and why this is not already the standard of care is beyond me.) Frankly, learning about the concepts of “type 3 diabetes” or “diabetes of the brain” alone is worth it, because I guarantee you millions of people with AD have never heard that before. The chapter on the the importance of cholesterol for healthy cognitive function, and the ever-deepening detrimental effects of statins is also crucial info. Q: Why is the publisher excited to put this book out? A: Chelsea Green Publishing is releasing several books related to low-carbohydrate, high-fat and ketogenic diets for a variety of health concerns. The company’s leadership has followed the medical research and recognizes the merit in using dietary means to support health and potentially combat a number of illnesses for which conventional medicine is failing. Alzheimer’s disease certainly fits this description. Some of Chelsea Green’s staff read my e-book and recognized how important it would be to get the information to the people who need it most. Right now there’s really nothing to help individuals with dementia and their families. There are long term care facilities, nursing homes with dementia wards, and financial planners who can assist people with getting their affairs in order in preparation for their decline and debilitation, but there are few to no resources arming people with information and strategies they can implement to potentially halt or at least delay disease progression. Certainly, many unanswered questions remain and there are many decades of research still ahead of us, but that doesn't mean we are completely without actionable information right now. Knowing people would be unlikely to stumble upon my book via my little-known blog, Chelsea Green approached me about publishing an expanded and updated print version so that we could bring this stunning data to a much wider audience. It’s a relatively small publishing house that focuses on a few niches, such as organic farming and gardening, homesteading, holistic health, sustainable food production, green building design and architecture, and more. Using scientifically sound dietary strategies to potentially fight some of our most devastating illnesses fits in nicely with their focus on healthy living. Q: What are you most hoping to accomplishing through this book? My goal is to educate and empower loved ones and caregivers of individuals with Alzheimer’s disease, mild cognitive impairment, and other forms of dementia and cognitive decline. A large and still growing body of scientific literature points to certain factors that may be contributing to the etiology and progression of cognitive decline, and these individuals are seeking information about how and why these conditions may have developed, and what can be done about them. I am not a physician, nor am I involved in conducting primary laboratory research. As a nutritionist and professional writer, I see my role as being that of an interpreter, translating the scientific findings into plain English in order to empower people to apply the relevant information in their own lives and the lives of the Alzheimer’s, dementia, and cognitive impairment sufferers they care for. The people who need this information the most don’t have time to comb through the medical journals looking for answers. And if they did, not all of them will have the background to make sense of the biochemical jargon. My book makes the case that we are not powerless in the fight against these dreaded conditions. There is something we can do about them. People have felt helpless for too long, and have resigned themselves to accepting a fate that may be possible to sidestep with the proper interventions. There are strong links between insulin resistance, impaired glucose metabolism in the brain, and Alzheimer’s disease, to the point that researchers now regularly refer to it with the phrases I mentioned earlier: “type 3 diabetes” or “diabetes of the brain.” Based on an understanding of Alzheimer’s as a systemic metabolic problem, rather than some unknowable and completely mysterious illness localized solely to the brain, there are dietary and lifestyle interventions that hold great promise in slowing disease progression and possibly even reversing it to some extent. Considering that the pharmaceutical drugs developed to date for Alzheimer’s have failed time and again to have any appreciable impact on the illness, exploring other strategies is long overdue. I hope that my book contributes to this new landscape and serves as a springboard for those affected by cognitive impairment to conduct their own further research and take control of their health future. Okay, back on message. As you know, dear readers, as I explained above, I am not a physician, nor am I a researcher who works with mice or humans in a laboratory. What I do think I do well is translate the scientific findings into plain English so people can actually understand it and do something with it. Beta amyloid inhibits the pyruvate dehydrogenase complex? What does that mean, and why does it matter? More ATP and fewer reactive oxygen species are generated from metabolizing ketones than from glucose? Okay, so what? My book is the so what. P.S. Click here to see what Dr. Perlmutter, Robb Wolf, Dr. David Brady, and Franziska Spritzler, RD, had to say about the book. I buy very few books - I mostly wait for my library to get books I want to read. But I preordered your book. My Mom is deep into Alzheimer's/dementia at age 91 and my memory and cognitive abilities seem to be waning at age 62. I'm looking forward to reading your book! Thanks, Beverly! You won't be disappointed. :) The font is a little small, but I had no say in that decision. Other than that, I think you'll find it helpful. At age 62 I definitely need my reading glasses all the time, regardless of the font size! Congratulations amy! I NEVER buy books and am also preordering. You are the first person i stumbled upon doing research for my reactive hypoglycemia and my high percentage of developing alzheimers with family history, apoe4 (and mthfr as an added bonus :) ). I have never gotten into ketosis, but am following a low carb diet until i can get healthy enough to try again ( without bg going into the 40s). You literally changed the course of my life! I too plan to buy your book based only on what I have seen you post on your site. All well done. As for some of the other commenters, I am amazed that some don't buy any books. There are about a dozen I can name which are all well worth reading and all written by very credible and well educated professionals, and not expensive directly to your door or your kindle (or laptop) from Amazon. Let me know if you want me to post some of them. We are our body. And our body's headquarters are located in the.... head. More specifically, in the brain. Gotta take good care of this department. Congrats for the paper Antidote, you are in very good company at Chelsea. 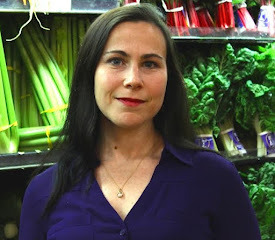 Hi Amy, do you think the type of diet you recommend in the book would be helpful for other types of brain disease, for example Huntington's disease? YES! 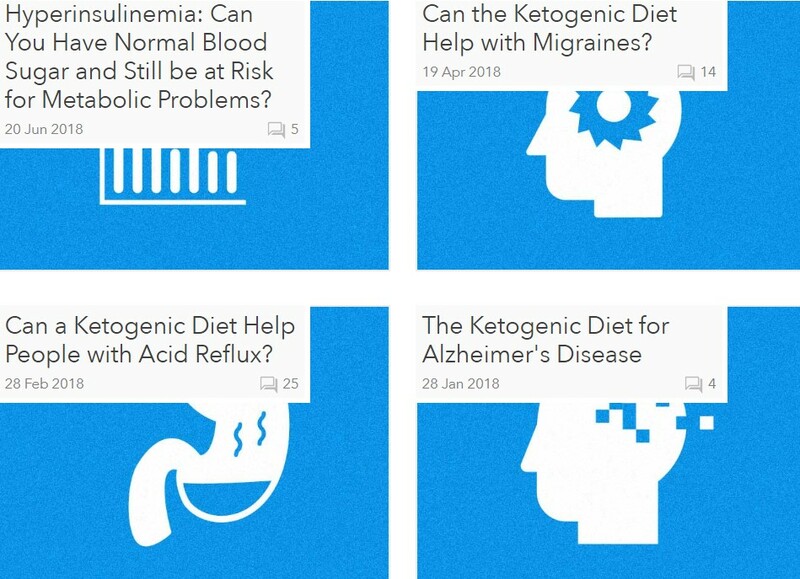 The ketogenic diet has amazing potential for many different neurological conditions. Definitely worth a try! But you're better off reading the book The Wahls Protocol, by Dr. Terry Wahls. Go for it! Congratulations, Amy! Great pic of you on your site, btw. Well done! I buy books, but generally cheap used ones. I'm not waiting on this one for used copies! And thanks ahead of time for a consumer-friendly version. I passed a book on hormone balance to a friend once, and she just passed it back with a blank look on her face- too technical for her to get it. Too many need desperately to "get it". My sister and I are looking into how to promote a revolution in healthcare that focuses on treating causes rather than symptoms. We found this approach referred to as Integrative Medicine, Lifestyle Medicine and others. There are several educational institutions out there like the American College of Lifestyle Medicine and the U of Wisconsin's Integrative Medicine dept. that might even use your book as a textbook. And the relatively new position of health coach needs this info. (One of those is the Spencer Institute). Maybe your book is too simplified for a textbook at a school, but it is just a thought. I'll do my bit to get the word out. Well, *I* think my book is layperson-friendly. I guess the readers will be the judge of that, though. ;-) I mean, there's a bit of technical detail, but all explained in plain English...or at least, I think so, hehheh. Looking at your post a little more closely, I saw the reference to "brain insulin resistance". My jaw hit the floor; this is so huge. And thanks for your part in exposing statins. Got the link pinned, faced and twitted. I bought your e-book and thought it was well written. Congratulations on the book contract. Congratulations! I bought the Kindle version and was very impressed. And now you have a publisher! Thanks for your great work. 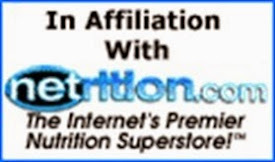 I am about to finish my training as a nutritionist and have learned so much from your site. In Germany the discussion about ketogenic / low carb diets is still very rudimentary. I feel it is still very much believed to be dangerous. My question is: will your book be available overseas too? As for the ebook you published-I couldn't find it on Amazon / Kindle. Is this not available anymore? Hi Nicole, the e-book is no longer available. (That's why you can't find it.) There will be a new Kindle version and other electronic versions available shortly after the print book is released. (Or maybe around the same time.) I'm not sure about overseas rights. It would be up to someone to want to purchase the foreign language rights and distribute it outside the U.S. (I have already received an inquiry about the Russian translation!) :) I do hope it will be available internationally, and I'm sure it will be, but that will probably take time. Just ordered the book. As a strength trainer I Always make sure my clients understand somehow that keeping the CNS is of uttermost concern in relation to come to the facility, motivtion and intense muscular contractions etc. So to stay away from sarcopenia you first must be able to do something about it. You get the picture. No doubt that your book will deepen my understanding and/or give thoughts that I can use to motivate my clients to control their nutrion intake. Thank you! I hope you find it informative. The CNS is fascinating in terms of muscular and aerobic endurance. Seems like a lot of what we previously thought was causing "bonking" or hitting the wall has nothing to do with glycogen, and far more to do with fuel and energy sensing in the CNS. Probably why a teeny, tiny infusion of glucose (less than 10g) can perk someone up and keep them going for a while when they were on the verge of sheer exhaustion. Congrats on getting your book published. This is important information that needs to be shared. Pre-ordered the book today. I'm looking forward to reading it and giving another to someone with a need to know.